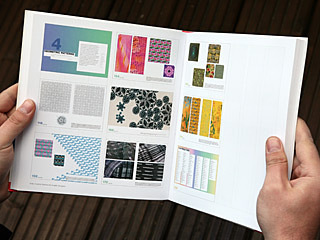 Featuring FL@33 across 10 pages including editorial work for the books 200 % Cotton – New T-Shirt Graphic, 300% Cotton – More T-Shirt Graphics and Patterns – New Surface Design. 200 % Cotton – New T-Shirt Graphic and 300% Cotton – More T-Shirt Graphics | Design: Agathe Jacquillat and Tomi Vollauschek of FL@33 | These image-based books contain over 1,000 illustrations each. 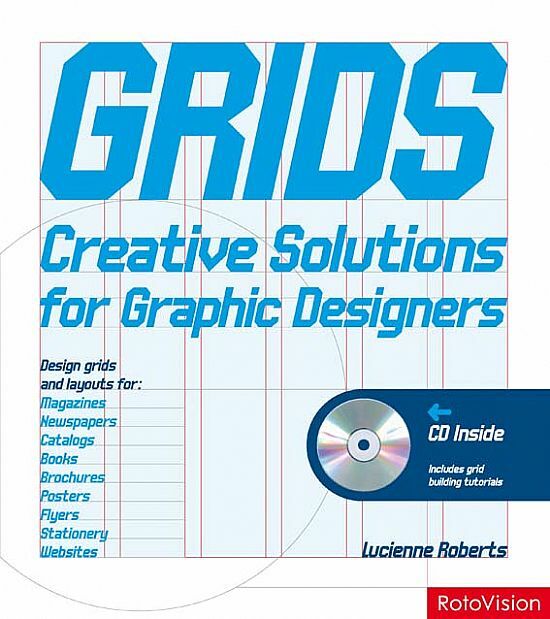 The grid had to be flexible, provide consistency, and make the design process relatively systematic. Designers Agathe Jacquillat and Tomi Vollauschek developed a multicolumn grid with 10 horizontal fields. 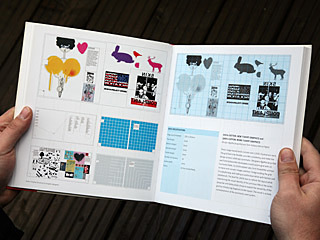 In 200% dotted rules form threadlike outlines to frame and connect images and text, foregrounding the grid in a playful way, and making a subtle association with fashion and needlework. 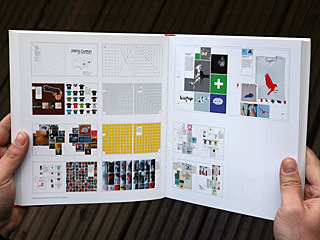 The brief for 300% was to refresh the layout while maintaining the visual identity of the previous title in the series. 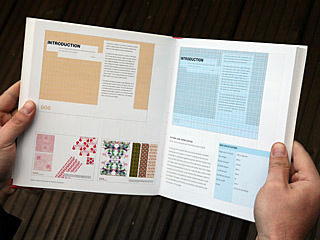 Jacquillat and Vollauschek chose to exploit the versatility of the grid by introducing diagonals to the layout. The result is a lively reinterpretation of the previously used system. Patterns – New Surface Design | Design: Agathe Jacquillat and Tomi Vollauschek at FL@33 | Coming up with a system that would accomodate examples of elaborate and visually rich pattern making sensitively was a challenge for designers Agathe Jacquillat and Tomi Vollauschek. They had little editorial control over the selection or grouping of the images, which was determined by the author. But, their highly flexible grid allowed them to vary the scale and area used for each example to ensure that the visual relationships between patterns were sympathetic, and potential clashes between designs could be avoided. The page is divided into 12 vertical columns and 17 horizontal fields, with a folio, running foot, and caption zone at the bottom of the page.